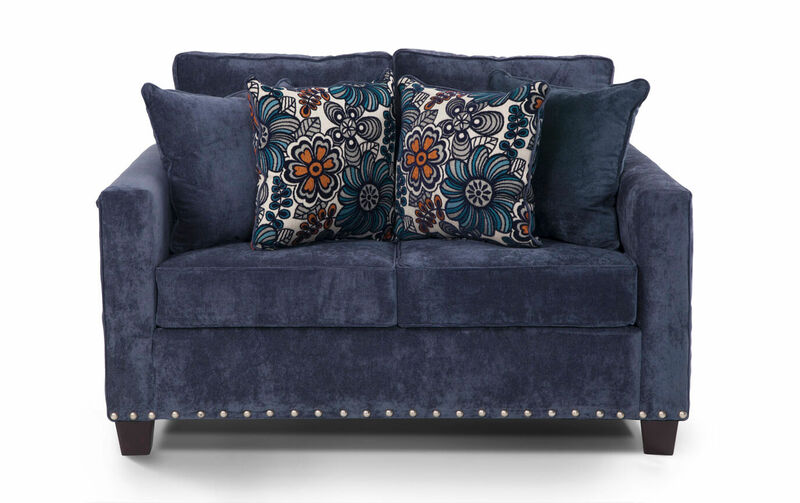 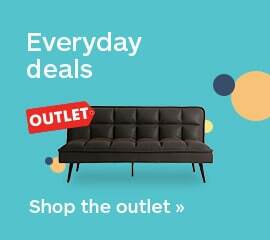 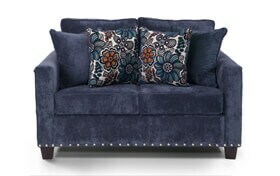 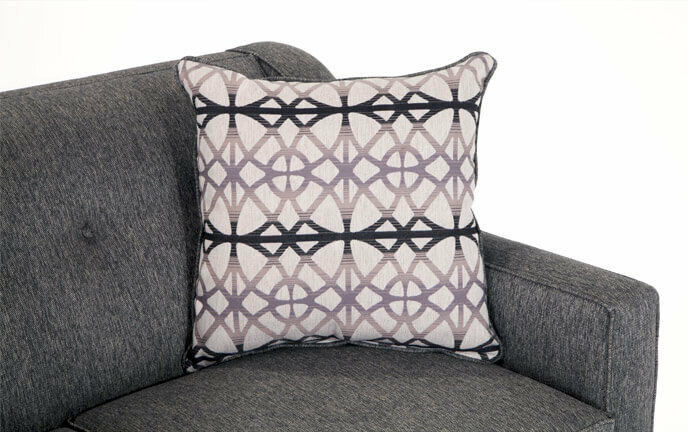 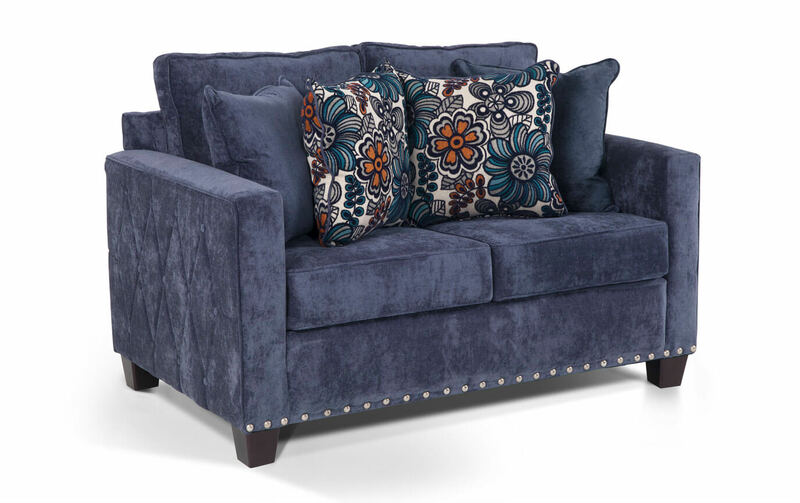 Liven up your living room with my Melanie Loveseat! 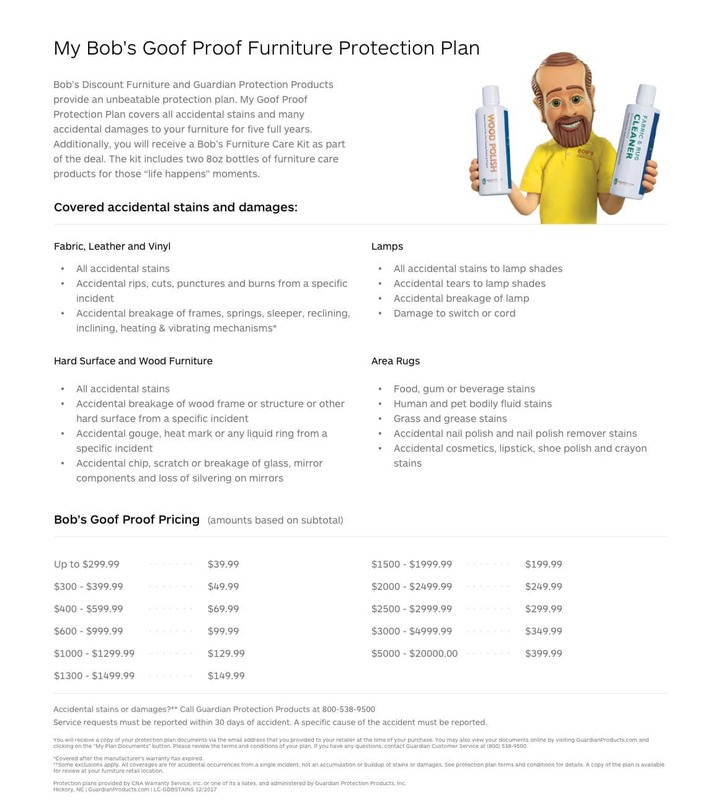 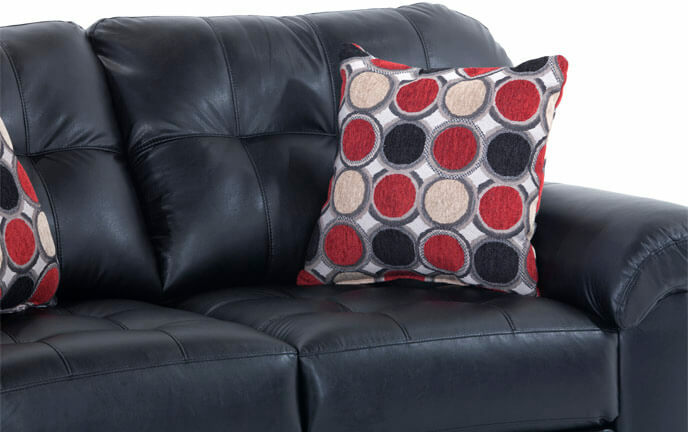 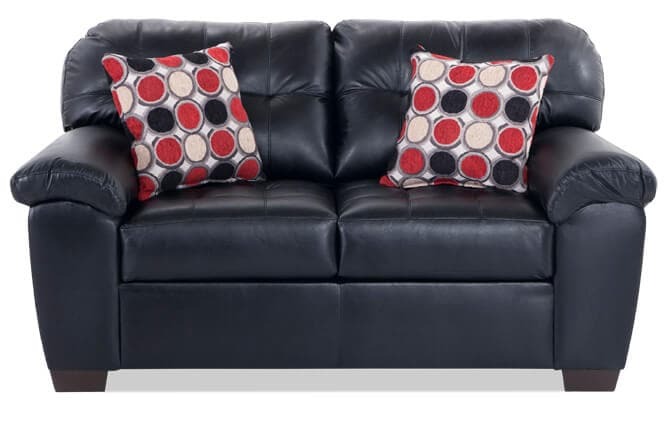 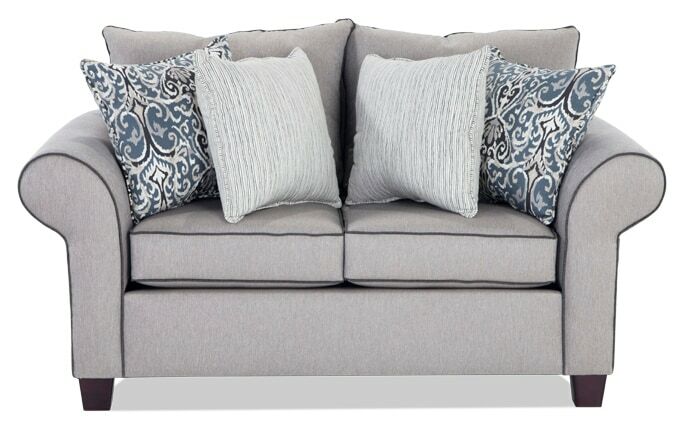 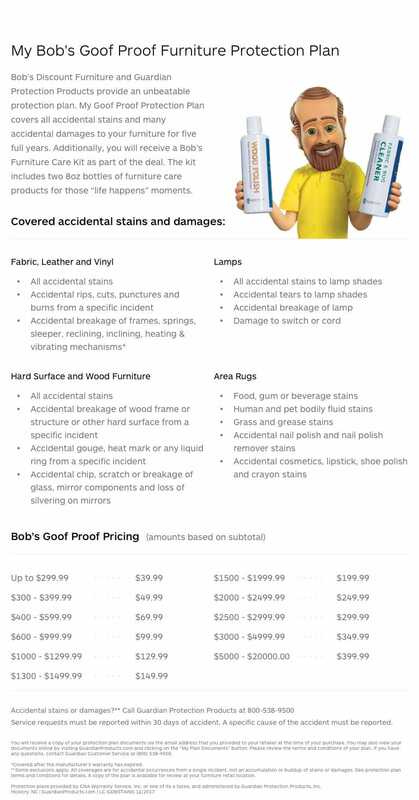 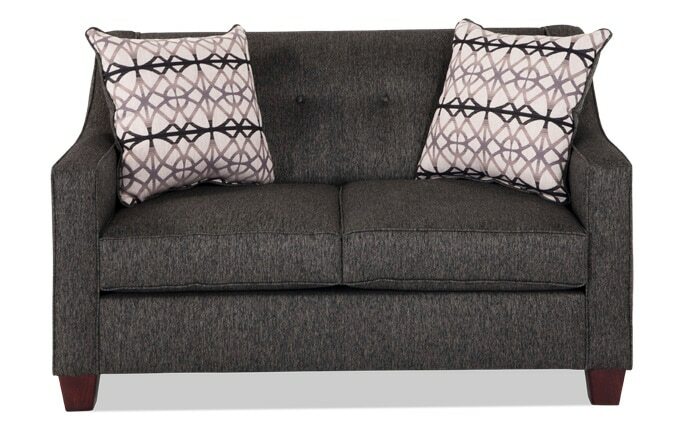 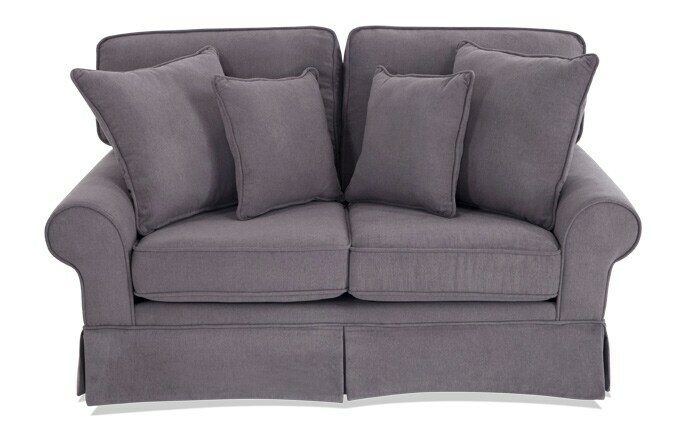 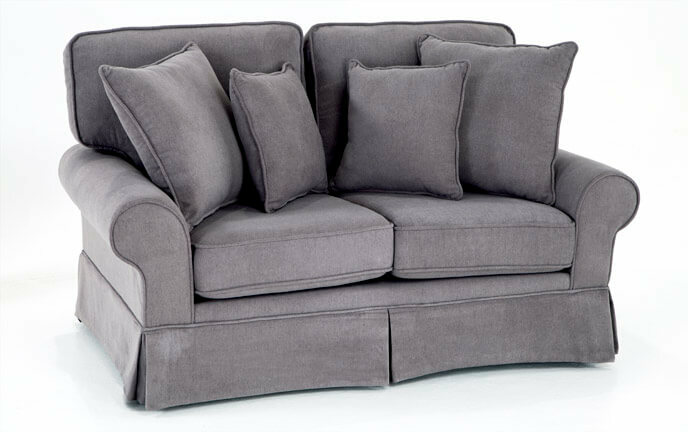 This super comfy loveseat is loaded with my famous Bob-O-Pedic Memory Foam Seating so you can enjoy ultimate relaxation! 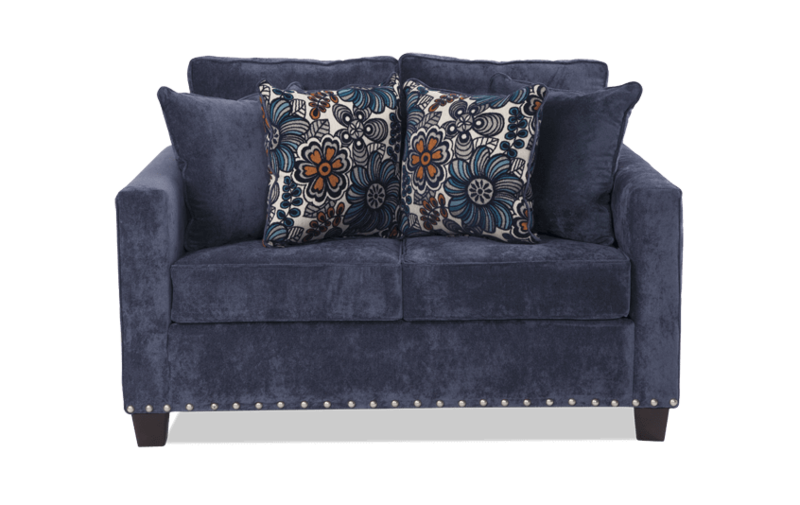 The sides have a diamond tufted pattern AND there's nailheads across the front! 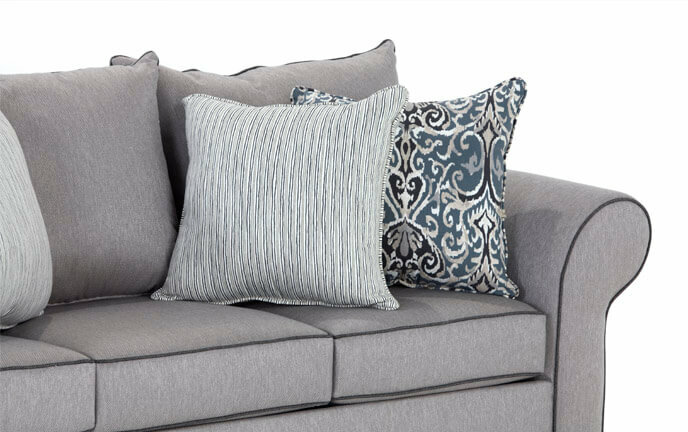 Plus, four stylish accent pillows make for extra cozy lounging!